‘Lavender’ takes it’s inspiration from its namesake flowering plant, and is comprised of 3 elements: the light, the crystal glass and the stem. These 3 elements can be connected in different angles, creating infinite number of sculptural forms for the overall chandelier. The chandelier can be made vertical or horizontal, in different curvatures. The crsytal shaped glass is created by different colors of Bullseye glass layered and fused together to create a shimmery and textured effect. The colors of the glass change softly from one side of the chan- delier to the other, from amber, to gold to silver to fumed gray. The light was designed as the key connector piece in the chandelier. 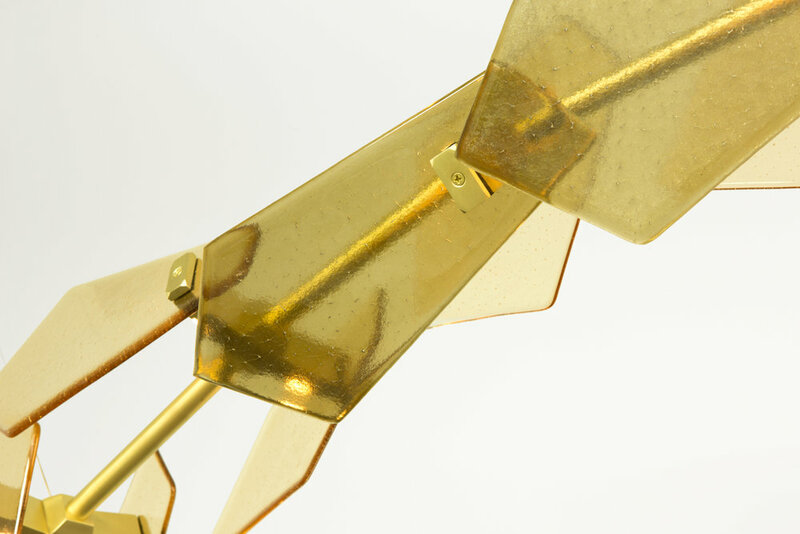 It connects all elements and the LED is inset in an angle to cast a diffused light on the glass as well as the stems. 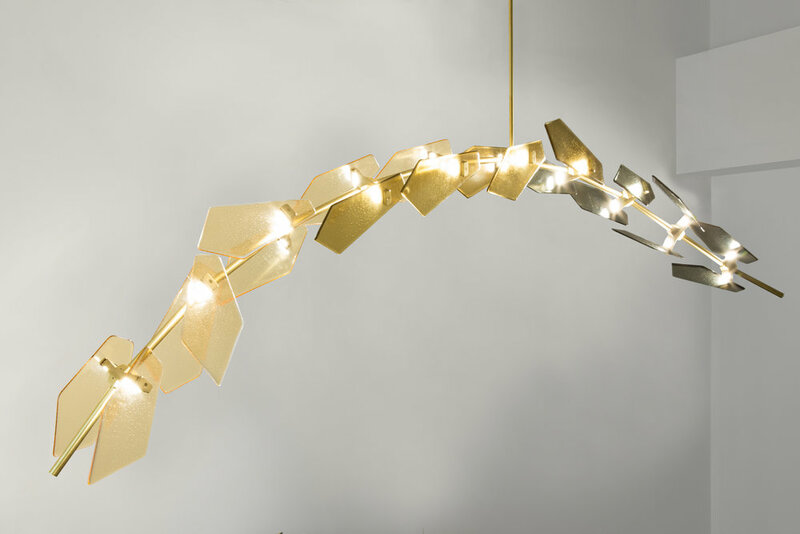 The whole brass structure of the chandelier glows as a single curved line.